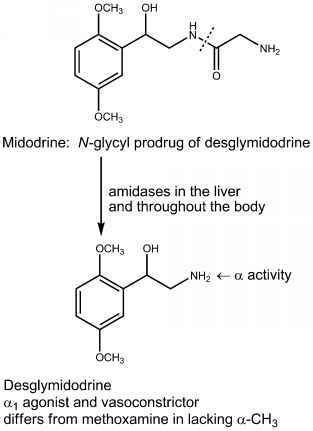 Reduced nicotinamide-adenine dinucleotide phosphate (NADPH) oxidases are a group of plasma membrane-associated enzymes, among which the phagocytic leukocyte NADPH oxidase has been most often studied.1 ~3 During phagocytosis or exposure to other activating agonists, the NADPH oxidase of neutrophils and other professional phagocytic cells (including monocytes) catalyzes the production of superoxide anion (O2-) by the one-electron reduction of molecular oxygen. The enzyme complex uses NADPH, provided by the pentose phosphate pathway, as the electron donor.1'2'4,5 C>2~, generated by the NADPH oxidase of monocytes and neutrophils, is readily converted to other potent reactive oxidants, such as hydrogen peroxide (H2O2), hydroxyl radical (OH ), hypochlorite (OCl~), and singlet oxygen ('02).1,6,7 These more potent oxidants are directly responsible for killing bacterial and fungal pathogens. The production of 02~ and the more potent oxidants by these cells leads to an abrupt rise in oxygen consumption. For this reason the NADPH oxidase is often referred to as the respiratory burst oxidase. 2 R. A. Clark, J. Infect. Dis. 179 (Suppl. 2), S309 (1999). 3 T. Leto, in "Inflammation: Basic Principles and Clinical Correlates" (J. I. Gallin and R. Snyderman, eds. ), p. 769. Lippincott Williams & Wilkins, Philadelphia, PA, 1999. 4 S. J. Chanock, J. el Benna, R. M. Smith, and B. M. Babior, J. Biol. Chem. 269, 24519 (1994). 6 J. M. Robinson and J. A. Badwey, Histochem. Cell Biol. 103, 163 (1995). 8 M. T. Quinn, C. A. Parkos, L. Walker, S. H. Orkin, M. C. Dinauer, and A. J. Jesaitis, Nature (London) 342, 198 (1989). mouse strains with tissue-specific ere expression and some of these are listed at http://www.mshri.on.ca/nagy/. Future development in this area will generate a wide variety of mouse strains with spatially and temporally controlled ere expression. This will give us unlimited possibilities of studying the function of genes at different developmental stages and of creating knockouts in old animals to model the pathology of human age-associated diseases.